It has emerged that the bookings for the 2019 Hyundai Santro have crossed the 30,000-unit milestone. The company started registering orders for the all-new Santro on 10 October 2018. Since then, it has received over 1.29 lakh enquiries for the new model. The 2019 Hyundai Santro has been on sale at a starting price of INR 3.9 lakhs. The company had started receiving pre-orders for its latest tallboy on 10 October 2018. Last month, the manufacturer shipped 8,535 units of the new Hyundai Santro to the dealerships. Thanks to a strong start, the latest generation of the favourite Korean tallboy has overtaken the Tata Tiago (7,549 units) and Renault Kwid (6,035 units) on the sales charts. 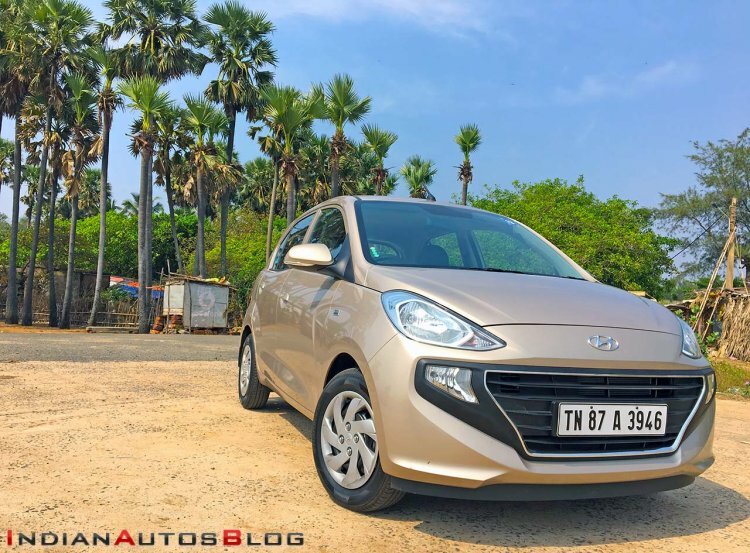 Last month, Puneet Anand, Sr. General Manager (Marketing), Hyundai Motor India, had told IAB that the exports of the new model will commence around the advent of the next fiscal. The 2019 Hyundai Santro is being manufactured at the company's Sriperumbudur-based facility off Chennai. South Africa will be its first international market, where the new car will be sold as the all-new Hyundai Atos. Countries in Latin America, the Middle East, and Southeast Asia should start receiving Made-in-India units of the new small car in due course of time. The Hyundai Santro is powered by a 1.1-litre four-cylinder engine that is available in two fuel options - Petrol and CNG. It outputs 69 PS at 5,500 rpm and 10.4 kg-m at 4,500 rpm for the petrol variant. The CNG model offers 59 PS at 5,500 rpm and 8.6 kg-m at 4,500 rpm. While both the versions feature a 5-speed manual transmission, the petrol version is also available with an optional 5-speed AMT. Underpinning the new model is the company's K1 platform, which is an updated version of the Grand i10's BA platform. The 2019 Hyundai Santro is available with a 3 years/100,000 km warranty and a 3 years Road Side Assistance package.